Where was the Last Supper Eaten? Well the real answer is, we don't know. The gospels tell us that it was in a rented room, but we aren't given the exact address. 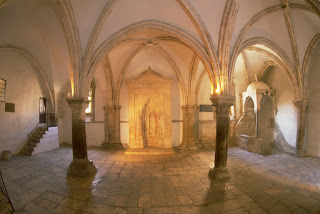 Nonetheless, there is a "traditional site" in Jerusalem that is identified as the "upper room" where Jesus ate the Last Supper and then, later on Pentecost, the Holy Spirit came upon the early church. I have been in the so-called upper room several times and I am not impressed. The room is located over another suspect site, the so-called Tomb of David. Neither is old enough to be the location they are identified with. Nonetheless, tour guides still take groups there. I was once in the room when a group of Pentecostals visited the site. You can imagine the kinds of things that were going on in the room. What disappointed me most, however, was not their actions but that the tour guide led them to believe this was the actual spot. It seems that the site is also the source of a feud between the Vatican and the Israeli authorities. The Vatican wants control, but Israel has run the site since 1967. NPR ran a short piece on the upper room and the dispute over who will control it. You can hear it here. 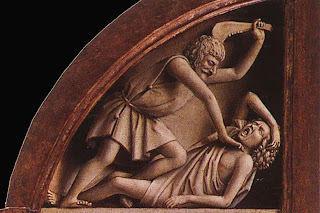 As some of my readers know, I have been looking at the story of Cain and Abel for several years. I have published several articles and a monograph on the topic. My interest is not in the story in Genesis so much, but what later interpreters did with the story. Since most of my work is in academic journals and a very expensive book, it is not always as accessible as I would like. But over the last few few weeks I presented some of my work at a conference and had an essay published that I can now make available online. The paper I gave at the Eastern Great Lakes Biblical Society looks at the problem of sin and death in the world. In Romans 5 Paul lays the blame at the feet of Adam. But I demonstrate that other interpreters blamed Cain. You can download an audio file of my talk here. I also had an essay published in Craig A. Evans, Joel N. Lohr, and David L. Petersen, eds., The Book of Genesis: Composition, Reception, and Interpretation (VTSup 152; Leiden: Brill, 2012). 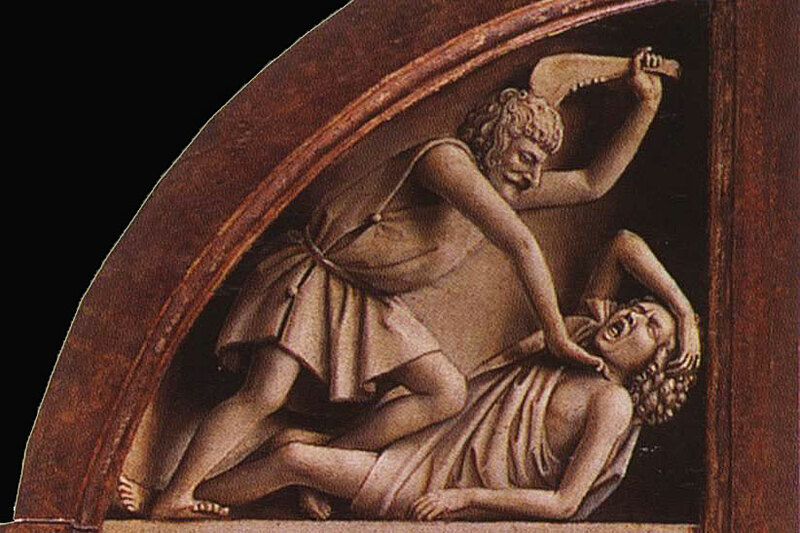 The title of my essay is Cain and Abel in Second Temple Literature and Beyond. In this essay I provide an overview of some of the ways that the story was interpreted by Jews and Christians. You can read the essay here. Also, I gave a talk back in January on Rewritten Bible in which my work on Cain and Abel was central. You can watch that here. Finally, an article I published in Biblica in 2007 is also available online. This article looks at the mention of Cain in 1 John 3. Read it here. I would be glad to hear any comments or reactions to my work. 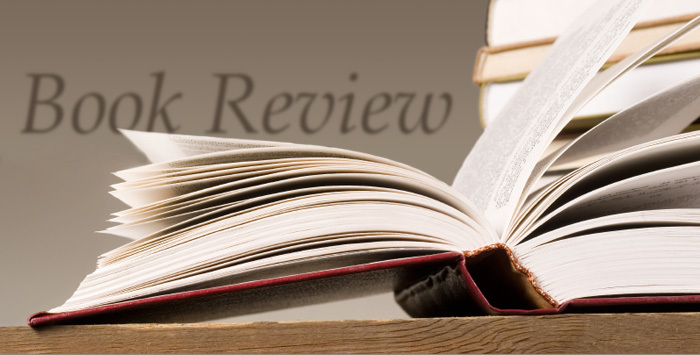 Are Book Reviews an Endangered Species? A good book review can be a valuable research tool. On a number of occasions I have used book reviews to help guide me through the research process and determine what I must read to be informed about a topic. A good review will tell you the contents of the book, the contribution that it makes to the field and will critically interact with the topic. Poor reviews usually only summarize the book and reads more like an expanded table of contents than a critical interaction with the author's thesis. I have done a number of reviews over the years that are published in academic journals and since I began this blog, I have been regularly posting reviews here. The practice of reading and reviewing a book helps you to digest it better and helps you to be a better scholar. But some journals are moving away from publishing reviews. An article in the Chronicle of Higher Education has a piece today titled The Endangered Scholarly Book Review. "We're not sure that our readers pay close attention to reviews," said one editor. "And, besides, running a robust review section is labor-intensive because we have to keep track of and edit several works by several authors to fill the space that would otherwise contain a single scholarly article by one author." Another journal editor told me there were just too many books being published, which makes the task of sifting through them and identifying the ones that should be reviewed both time-consuming and onerous. A third mentioned that he had become frustrated that too many reviews were simple summaries with little actual "reviewing"—that is, thoughtful engagement with, and critical evaluation of, the book's project. Yet another pointed out that his book-review editor has had difficulty attracting writers, given that the book review is often deemed a lowly beast in the grand scheme of things. Midcareer professors and senior scholars typically are "too busy" to write reviews, opting instead to spend their time on their own books and journal articles. That means a preponderance of review writers are graduate students and new faculty members, a trend that can make a difference in what a review section contributes to the scholarly conversation in a discipline. The author goes on to argue that the writing and publishing of good book reviews is still needed. And he provides eight tips for doctoral students who are writing reviews. What do you think? Are reviews still important? Has the new media rendered them obsolete? Back in November I mentioned that there are some who think that Jesus did not exist. These people are known as mythicists. 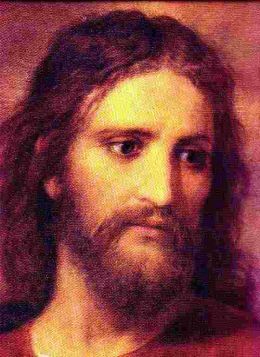 They claim that Jesus was a made up Jewish god and they base their claims on the lack of archaeological evidence for Jesus as well as the small amount of literary evidence for Jesus, among other things. Coming out in defense of the claim that Jesus was a historical figure who did in fact exist is Barth Ehrman. Some might find this surprising since Ehrman is better known as the chief nemesis of conservative Christian scholars. His books include Misquoting Jesus and Forged: Why the Bible's authors are not who we think they are. Ehrman is a former evangelical turned agnostic. But he is also the author of a new book Did Jesus Exist: The Historical Argument for Jesus of Nazareth (HarperOne, 2012) in which he lays out the historical evidence for Jesus. Ehrman was interviewed for All Things Considered on NPR recently about the book and mythicism. Here is some of what he had to say. "It was a surprise to me to see how influential these mythicists are," Ehrman says. "Historically, they've been significant and in the Soviet Union, in fact, the mythicist view was the dominant view, and even today, in some parts of the West - in parts of Scandinavia — it is a dominant view that Jesus never existed," he says. Mythicists' arguments are fairly plausible, Ehrman says. According to them, Jesus was never mentioned in any Roman sources and there is no archeological evidence that Jesus ever existed. Even Christian sources are problematic - the Gospels come long after Jesus' death, written by people who never saw the man. In his book, Ehrman marshals all of the evidence proving the existence of Jesus, including the writings of the apostle Paul. "Paul knew Jesus' brother, James, and he knew his closest disciple, Peter, and he tells us that he did," Ehrman says. "If Jesus didn't exist, you would think his brother would know about it, so I think Paul is probably pretty good evidence that Jesus at least existed," he says. In Did Jesus Exist?, Ehrman builds a technical argument and shows that one of the reasons for knowing that Jesus existed is that if someone invented Jesus, they would not have created a messiah who was so easily overcome. "The Messiah was supposed to overthrow the enemies - and so if you're going to make up a messiah, you'd make up a powerful messiah," he says. "You wouldn't make up somebody who was humiliated, tortured and the killed by the enemies." You can read some of the interview here and you can also listen to the ten minute interview. At the end the interviewer even asks Ehrman about his own relationship with Jesus. Whether you read the book or not, the interview is worth hearing. It's Easter time, which means that questions begin to arise about the story and some of the details. One of the questions I am often asked by those who have visited Jerusalem is "where was Jesus buried?" I am asked this because there are two locations. Since the nineteenth century many Protestants have claimed the Garden Tomb (aka Gordon's Calvary) as the location of Jesus' tomb. Unlike the Holy Sepulcher, the Garden Tomb is located outside the walls of Jerusalem. This would seem, some argue, more accurate since Jews would not bury their dead within the city walls. While the Garden Tomb is certainly a beautiful and inspirational location, the facts work against it. 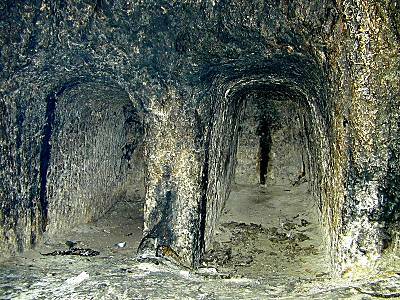 First, the tomb is not a second temple tomb. It is much older and if we are looking for Jesus to be laid in a "new tomb" then this won't do. Besides, the Garden Tomb is actually part of a complex of tombs that were quarried away. If you go behind the tomb you discover more tombs that were once part of the Saint Stephen's Monastery and now are part of the French Archaeology School. Also, those who point to its location outside the walls of Jerusalem fail to realize that the Garden Tomb location was also within the walls at one time. Beginning in 40CE the city of Jerusalem went through an expansion which saw the location of the Holy Sepulcher and the Garden Tomb both end up within the walls. The current walls of Jerusalem were not built until the 15th century. I am unaware of any archaeologist who would point to the Garden Tomb as the location of Jesus's burial. If you are interested in seeing both locations and learning more about the tombs PBS has posted a short story on the two locations of Jesus' burial in Jerusalem. Watch Where Was Jesus Buried? on PBS. See more from Religion & Ethics NewsWeekly.